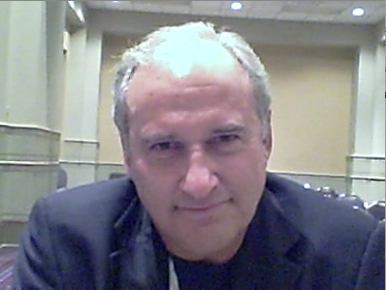 A couple of weeks ago I shared with you a brief video of John Records Landecker talking about — what else? — radio. Here is the second part of that video. The part you didn’t know existed. The part that you’ll probably remember for a long, long time. Thanks Dan and John for reminding how much fun radio was when there were little guys running community stations and letting people do fun radio that I think people liked…. we made a little money at times, but for the most part…. it was the satisfaction that I remember…. Ditto Mark – my first radio experience led me to create a small pirate radio station playing everything off cassette and broadcasting for less than a mile to my friends – and eventually seek out a career in radio. John hit it on the head with “insist on pursuing a career in radio”, something I’m still trying to do to this day, and will continue to do. Thanks Dan for reminding me of the good old days. We should all be so lucky to work with the sense of passion that John has. Will it prevent someone from ever raining on your parade? Nope. But it will sustain you until the sun comes out again. Best wishes to you John, and thank you, Dan, for sharing the interview. I recently went back into radio full time after spending about 5 years back in TV production. When I told my TV boss I was doing this, he shook his head and literally called me nuts! But the bottom line is, I LOVE doing radio. I mean, right now I’m sitting on my couch doing prep for my show this afternoon. What a great job! My radio journey took me to Seattle and LA. It was great! It is still great. I’m back in the market I started out in and I’m having a blast. I made good money in the bigger markets. But I can live on what I make now and even put a little away. It’s not a lot. But then, I have all the material crap I could ever want. And more importantly I’m having fun doing something I love. I was a PD at one point in my radio life. I had one guy on my staff that whined about everything. One very hot summer day, I walked into our air conditioned studio and invited him to lunch. We took the station van and on the way to the restaurant I stopped at new subdivision being built. The roofers were up hammering away in the 100+ degree heat. I didn’t say anything to him. We just watched these guys hammering away. Now I’m pretty sure he wouldn’t have thought that way if he knew what we were paying talent back then, but his perception was that we had it made. And sure enough, my guy’s attitude turned around that day and he DID go on to bigger markets and make some coin. I know that in this economy there’s the chance I could walk into work today and be let go. Just like any day over the past 30 years. Since when did radio = security? Jeez! My paycheck from my first gig in Seattle bounced! That’s the bargain I made to do what I love. And I still LOVE it! And I intend to keep doing it as long as someone will let me. I’m sure someone will say, “Yeah Mike that’s all well and good, but I got bills, I gotta wife and kids.” Well ya gotta do what ya gotta do. But I still contend there’s work out there for those with real passion. And if you work hard on your craft, if you’re dedicated to always trying to do better, you can still do what you love. Maybe I’m naive. I can’t worry about that right now. I got a show to do. Dan…this is a GREAT video. I feel exactly like John does. Great video, thanx for sharing Dan. Longtime fan of John Landecker. Radio is clearly in his blood…glad he still has the passion and shares it with his fans. Grew up listening to Landecker… an inspiration for me getting in the biz. Great to hear he still has that original passion! And now I’m still doing radio… in a non-rated market… doing whatever it takes; mornings, programming, production, promotions, psa’s … and High School football play-by-play. Still loving radio!! Worked with John from 81 to 83 in Toronto. Still sounding fine my friend. You were always too smart for the room. Great to hear you again. Simply amazing and absolutely right. I needed this – thanks for posting! Thanks Dan! Over my 35 year career I have had the pleasure of hearing Landecker airchecks a ton of times and they have always picked me up when I needed a boost of inspiration. Brilliant! Thanks to John and Dan for sharing, and inspiring!